Ask about our 10th Year Anniversary Special! Summit Test Prep & Tutoring is committed to helping our clients scale new heights in academic performance and standardized test taking. Beginning with a free initial interview/assessment, we tailor an individualized learning plan that meets a client's needs and supports his or her goals. Then, in one on one sessions, we forge a connection that inspires trust to create a partnership for progress. Success builds upon itself so that learning is enjoyable, as learning should be. While our experienced staff members are adept at instructing a wide range of learners in a variety of subject areas, we specialize in preparing college-bound students to take standardized tests such as the SAT and ACT, with our focus on reading, writing, math, and test taking skills. Other tests for which we have prepared clients include the GED, NJ ASK, GRE, GMAT, ASVAB, SSAT, ISEE, and COOP. 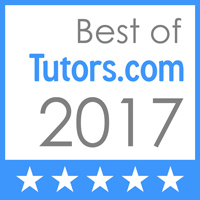 Subject area/academic tutoring is available for elementary, high school, and college level courses including math (elementary math, algebra, geometry, pre-calculus, calculus), science(chemistry, physics, biology) and several languages including English as a second language, Spanish, Italian, French, German, and Russian. We are available to meet with clients at our Summit location, in the home, or at another convenient spot such as the local public library. *Information current as of March 2,2016. Pricing for test prep (ACT/SAT) private one on one tutoring unless otherwise noted.